#ThrowbackThursday - The San Francisco Chamber Singers (the original name of Volti) in about ... 1984 or 1985? Let's hope our party next Saturday night is as much fun as this! 14 hours 36 min ago. Volti updated their cover photo. Our new album comes out tomorrow in innova Recordings! Artwork by Jacob Thompson 16 hours 57 min ago. Volti shared a post. Anybody like the Blue Angels? 1 day 19 hours ago. Volti is celebrating an anniversary. Ahoy! Just added a very special perk to our 40x40 campaign! Book your spot on a bay cruise during the Blue Angels' 2019 Fleet Week air show. The cruise will depart at noon on Saturday, October 12, and return by 5:00pm. Heavy hors d'oeuvres and beverages will be served. The vessel? The New Fandango. Your captain? Maestro Bob Geary, founding Artistic Director of Volti 🤩😎🥳 igg.me/at/volti 2 days 15 hours ago. Throwback... Tuesday? Six years ago this week, we were performing David Lang's "Battle Hymns" with San Francisco Choral Society, Piedmont East Bay Children's Choir and Leah Stein Dance Company at Kezar Pavilion. 2 days 18 hours ago. Under the direction of founder and artistic director Robert Geary, the twenty professional singers that make up Volti lead the nation in the discovery, creation and performance of new vocal music and are the only six-time winners of the Chorus America/ASCAP Award for Adventurous Programming of Contemporary Music. 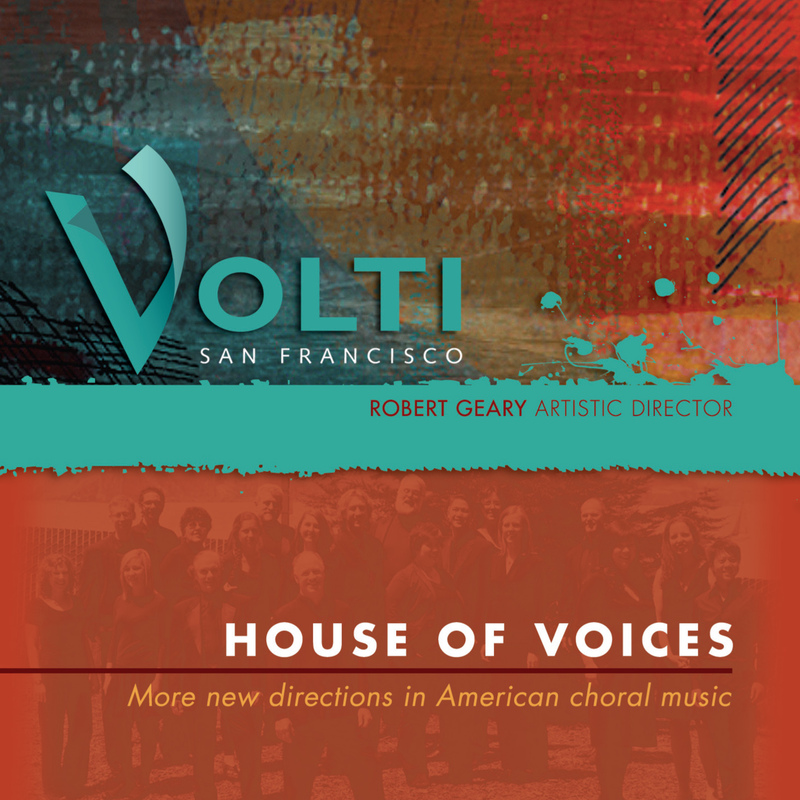 On their new album, House of Voices, they introduce six 21st-century works from American composers of dazzling range and diversity, including five Volti commissions. The program opens with Yu-Hui Chang’s Being: Two Collins Songs, wherein the composer sets two very different poems by Billy Collins. The playful Shoveling Snow with Buddha contrasts with the meditative The Night House, from whose text the album draws its name. Next is Ted Hearne’s Privilege, a 5-movement rumination on the inequities of contemporary life which weaves together his own texts, portions of a Bill Moyers interview of David Simon (creator of HBO’s The Wire) and a South African anti-Apartheid folk song. Donald Crockett then takes us to the vast expanses of Tuva (near Mongolia) for a sonic portrait of the nomadic tribes still living much as their ancestors have for centuries in the haunting Daglarym/My Mountains. Eric Moe sets Matthea Harvey’s strange and wonderful prose poem The Crowds Cheered as Gloom Galloped Away, in which we are introduced to a world where mail-order antidepressant medication comes packaged with six tiny ponies who are tasked with trotting away with your sadness. San Francisco Pulitzer Prize-winning composer Wayne Peterson contributes the lovely Two Poems of Delmore Schwartz, and the disc finishes with a major new work by Volti’s resident composer Mark Winges, Luna, Nova Luna. Co-commissioned by Volti and the Piedmont East Bay Children’s Choir, this remarkable piece was part of a multi-year cycle of commissioning works for professional chamber choir and high-level children’s choir. Listening to Volti’s music is like visiting a modern art museum – stimulation for the mind, the imagination and the heart.